Don't get caught-out this winter: sometimes the weather turns against us, the sun disappears and the heavens open. When this happens, make sure you've already found your new favorite piece of women's rainwear - right here! 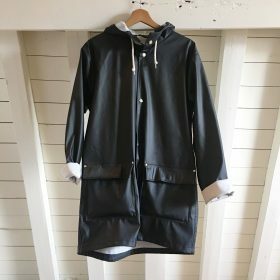 There might be a few of you who are excited by the change of seasons and can't wait to get their brightly colored Patagonia jackets on (guilty: love my red rain jacket) but for the rest of you, why not browse through the collection of women's rainwear and get inspired by what you could be wearing this Winter. From practical to beautiful, we have something for every taste right here on Fashiola.